So, they introduced ACOs, which would increase quality and cut costs by getting rid of straight Fee-For-Service and putting more financial risk on physician groups. If the physician groups pass certain thresholds of cost and quality, they can pocket some of the savings. This doctrine is also embedded in the 2015 Medicare physician payment reform legislation, which committed Medicare to sweeping away most Fee-For-Service payments within a few short years, in favor of new payment models designed by the Centers for Medicare & Medicaid Services. According to the results, over 400 Medicare ACOs generated more than $466 million in total program savings in 2015, accounting for all ACOs’ experiences. Of these, 125 qualified for shared savings payments by meeting quality performance standards and their savings threshold. First, if over two-thirds of ACOs (275) did not get to pocket any profits from their participation, they will surely drop out. 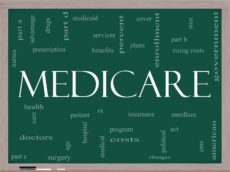 Second, $466 million is a trivial share of Medicare spending: Less than one-sixth of one percent of Medicare Part B (physician) spending of $279.0 billion and less than one-fourteenth of one percent of all Medicare spending of $647.6 billion. Instead of maintaining third-party payment and getting rid of Fee-For-Service, Medicare should get rid of third-party payment, let seniors spend their Medicare dollars directly, and let the physicians re-design their payment systems in response to patients’ demand.